For some, the idea of a zombie take-over is the stuff of fiction. On the other hand, if you are like me, you lie awake at night thinking about what local establishments have the heaviest fire doors, fewest windows, and a large supply of guns and nonperishable foods in preparation for the inevitable zombie apocalypse. But what if zombies were already among us? Not as brain-munching corpses, but rather a growing community of seemingly normal people who happen to be undead. This idea is explored in documentary filmmaker Grace Lee’s latest project, American Zombie. Taking a humorous stab at horror – and herself – Lee delivers a smart, refreshingly funny mockumentary sprinkled with elements from classic zombie films. According to the movie, experts estimate that Los Angeles County has between 5,000 and 7,000 zombie residents, or “revenants” to be politically correct. These are people who unknowingly carried a dormant virus called R428, which became activated by their death and resulted in resurrection. Some revenants lose their ability to speak, some become aggressive, and others are hardly changed at all. There exist three classifications: the high-functioning zombies, who live fairly normal lives; the low-functioning zombies, who are comparable to a mentally ill person; and feral zombies, who closely resemble George Romero’s shuffle-and-moan type. American Zombie documents the everyday lives of some revenants, including their efforts to gain the same civil rights as the living. We meet Joel (Al Vicente), founder of Z.A.G. aka Zombie Advocacy Group. He believes zombies should be allowed to vote, marry, have health insurance, etc. In addition to protests and rallies, Z.A.G. offers job placement, runs zombie shelters, and fights to protect the low-functioning revenants who are often exploited for cheap labor. Other zombie interviewees in the film include Ivan (Austin Basis), a teenaged convenience store clerk; Lisa (Jane Edith Wilson), a slightly-crazy funeral florist; and finally, Judy (Suzy Nakamura), a cat-loving vegan in denial about her zombie-ism. We also hear from revenant experts, scientists, and even a zombie bounty hunter. Grace Lee approaches the topic with such seriousness that you start to believe in zombies a little. The fact that she plays herself in the film further blurs the line between fiction and reality. In the movie, she and fellow filmmaker John Solomon join forces to tell the truth about zombies in America. For her, this means portraying a budding ethnic group and their struggle for equality. For John, it means proving they keep human flesh in their refrigerators and sacrifice people at their rallies. This antagonism between Grace and John is very funny throughout the film. Ultimately, each director gets their way, as John’s suspicions start to come true in Zombie‘s second half. The filmmakers attend “Live Dead,” a Burning Man-like event in the desert where living humans are not allowed and zombies engage in shady activities. At this point, the film starts behaving more like a shaky-cam horror movie and less like a documentary. The disparity between the film’s first and second acts will likely be a source of disagreement among film fans. 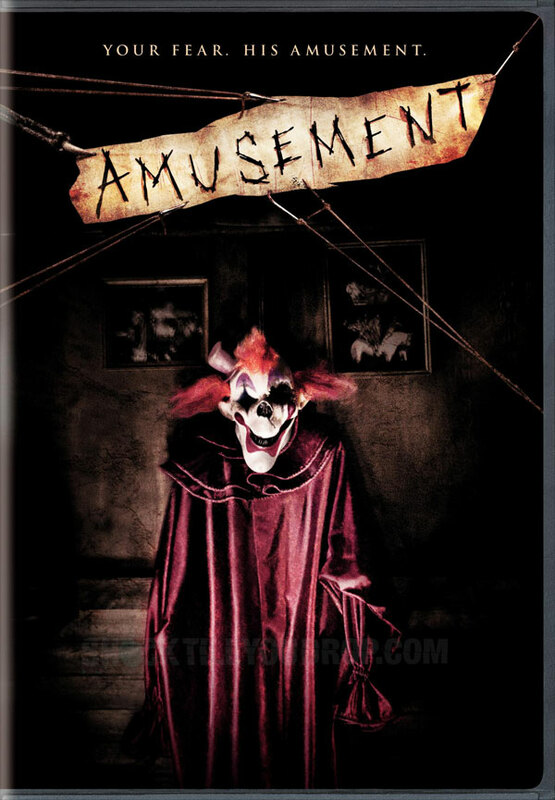 The same conclusion that documentary enthusiasts will surely bemoan will probably be loved by horror fans. The shift in tone may be surprising at first, but look carefully and you will find that Lee is actually mocking self-righteous documentarians like herself. She deliberately transforms her intellectual, politically-correct film into a mainstream horror movie. Despite her character’s best efforts, Lee’s film embraces all the zombie archetypes she hoped to avoid. This transformation also suggests the inevitability of a zombie’s violent nature and thus pays tribute to the ravenous flesh-eaters that genre fans know and love. Much of the film’s humor is subtle satire, but there are a few laugh-out-loud moments, like Z.A.G. selling “Deadstrong” wristbands or a priest recruiting revenants on the basis that Jesus was a zombie, too. The film falls short of perfect only because the script could have done so much more. I wanted to see more of the low-functioning and feral zombies. As much as I enjoyed the main four revenants, more zombies would have been great. Lee also could have driven home the social commentary better if she included more representation of zombies being oppressed. Are zombies subject to hate crimes? Do they have segregated bathrooms? Are they even protected against murder, or are their rights more akin to those of an animal? I could go on forever, as Lee’s concept lends itself to many fascinating questions and what-ifs. 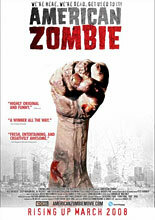 Nonetheless, American Zombie provides a clever idea with elements of social commentary and self-parody. Even if the topic were 100% nonfiction, it would still be a pretty entertaining documentary. The fact that it is purely fictional and centers on zombies makes it twice as awesome. I love that Grace Lee tackles the subject with absolute sincerity, as if these people were real people, while staying true to everything we love about zombies. Mixing zombies and satire is hardly a new concept – in fact, it has been quite in vogue lately – but American Zombie is the first feature-length mockumentary to take on the subject. And I guarantee it will not be the last.